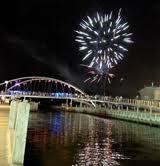 The Frankston Waterfront Festival is on again from 15-16 January 2011. Frankston`s annual summer festival by the sea is not to be missed. With an eclectic mix of music and entertainment, food and wine, plus plenty of stalls, activities and free tastings and displays this is a wonderful festival for the whole family to enjoy.